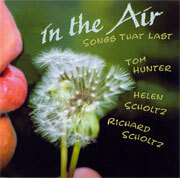 Author: Tom Hunter, Helen Scholtz, Richard Scholtz. Delicious, informal playing with these old children's favorites. Nationally loved children's performer, Tom Hunter, joins his old friends Richard and Helen Scholtz in their living room for an evening of singing.